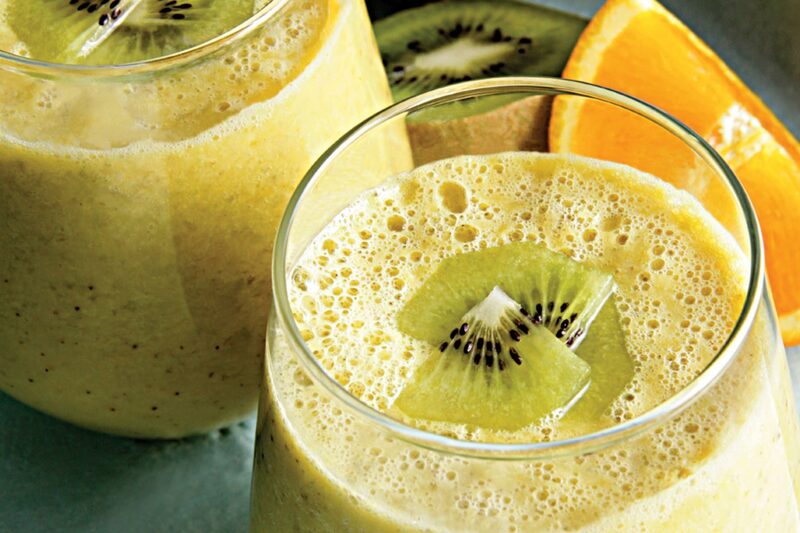 Add chopped kiwi and orange into the blender. Pour the milk and blend till smooth. Add Nutrilite Soy Protein Drink Mix (Mixed Berries Flavour), honey and yogurt. Blend again until well mixed. © Copyright 2017 AMWAY (B) Sdn.Bhd. and AMWAY (MALAYSIA) Sdn.Bhd | All rights reserved.